I can’t remember a summer where it has rained this much. Summer is Alabama is notorious for very widely scattered showers that consist of buckets of rain pounding down for 5 to 10 minutes followed by sunshine, steam rising off the pavement, and enough humidity to swim through the air. This summer has been more about consistent, soaking, almost-flooding rain. Which is great because it’s been cooler than it has in a long time, but bad because my garden can only handle so much water. 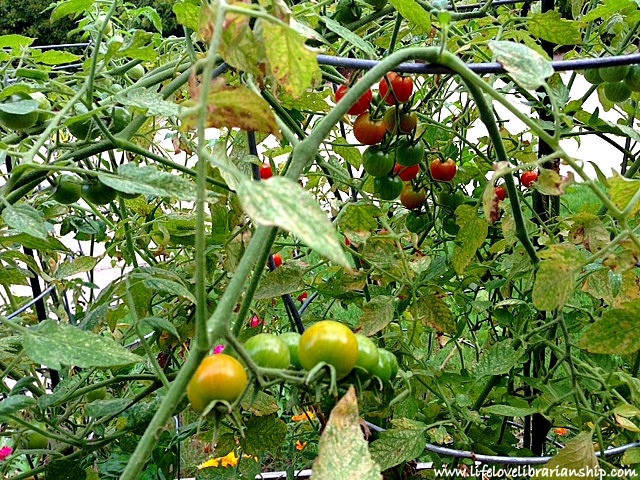 I’ve had some problems with bugs, but mostly, I’m losing tomatoes to driving rain that knocks the little ones off the bush and causes the big ones to swell and burst. Don’t get me wrong, I’m still swimming in tomatoes, but I know I’ve lost a good number due to the weather. My cucumber plant is finally getting going. I got my first cucumber last week, and I’ve got a bunch more coming in. 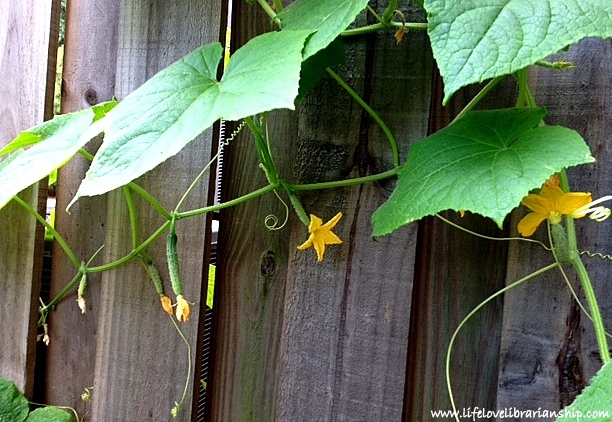 Whatever bugs were invading my garden were eating the cucumber flowers. I’ve been treating everything with an organic pest spray I picked up so that seems to be helping. 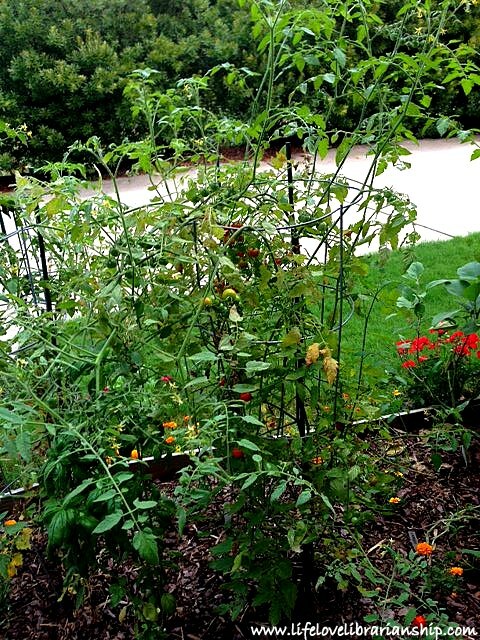 Nothing is keeping my Sweet 100 cherry tomato plant down. I’ve never seen a plant produce so many tomatoes. 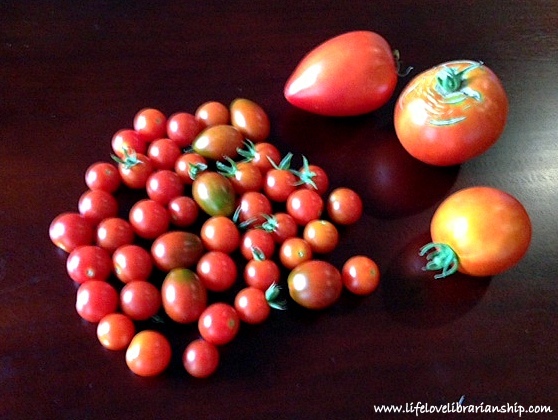 The more it rains, the bigger it gets, and the more tomatoes it grows. It’s unreal. In another month I’m afraid it’s going to take over the garden; it’s enormous, possibly the biggest plant I’ve ever grown. I have had to give up on controlling it because I can’t keep up. So I’m just picking tomatoes as fast as I can. This is one day’s harvest. 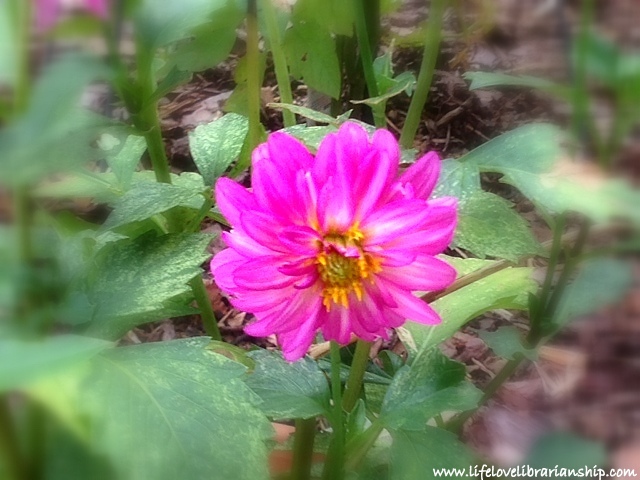 Are you growing anything this summer? How is your garden doing? We’ve had really unusual weather in Kansas City as well. By now, it should be so hot that it is miserable (for most people–I happen to love it!) outside and the only way to spend the days are poolside but it feels like an early May spring day out there. 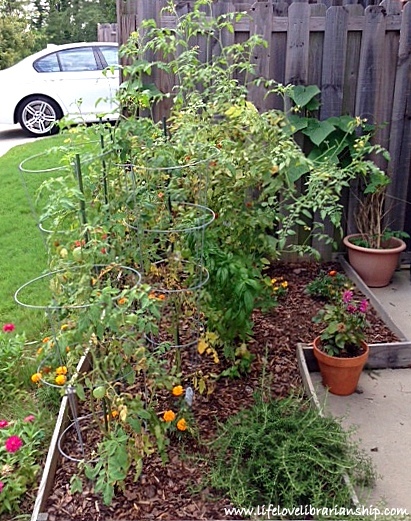 We tried a garden again this year but quite a few plants fell to bugs and no tomatoes. We are hanging our last hope on some popcorn we planted that seems to be doing well and a cucumber vine that might produce. Good luck! Hopefully you’ll get something out of the few plants you have left.